In our newest series on the Women in Astronomy blog, we'd like to introduce our readers to the Committee on the Status of Women in Astronomy. 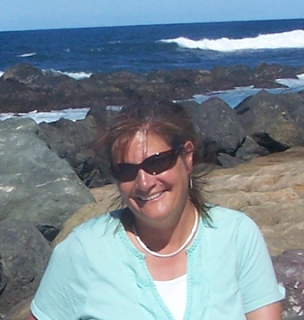 Today's post features the newly appointed Chair of the CSWA, Dr. Patricia Knezek! She will be serving as Chair as a private citizen. Dr. Patricia (Pat) Knezek joined the National Science Foundation (NSF) in March 2013, and served as the Deputy Division Director of the Division of Astronomical Sciences in the Directorate for Mathematical & Physical Sciences (MPS) for three years. She then became a Senior Advisor in the Office of the Assistant Director of MPS and just completed a year assignment to the Division of Advanced Cyberinfrastructure in the Directorate of Computer & Information Science & Engineering. Prior to joining the NSF she had been with the National Optical Astronomy Observatory (NOAO) as a staff scientist since 2001. While there she worked primarily with WIYN Consortium, Inc. (WIYN), a partnership of the University of Wisconsin, Indiana University, Yale University, and NOAO that runs two optical telescopes on Kitt Peak Mountain outside of Tucson, Arizona. She served as WIYN's Instrumentation Project Manager (2001-2005), Deputy Director (2005-2010), and then Director (2010-2013). She has also held positions at the Space Telescope Science Institute, The Johns Hopkins University, the Carnegie Institution of Washington, and the University of Michigan. She obtained her bachelor's degree in astronomy from the University of Texas in Austin, Texas, in 1985, and her Ph.D. in astronomy from the University of Massachusetts in Amherst, Massachusetts in 1993. Pat has been active in issues of diversity and inclusion for her entire career. She previously served on Committee on the Status of Women in Astronomy from 2002 – 2008 (chair 2003 – 2007). Some of her activities have included leading the development of “Equity Now! The Pasadena Recommendations for Gender Equality in Astronomy,” launching (with Rachel Ivie of the American Institute of Physics) the AdHoc group that developed the Longitudinal Study of Astronomy Graduate Students, and developing the Anti-Harassment Policy for AAS. 4. Join us in congratulating Gabriela González, David H. Reitze, and Peter R. Saulson! Today's guest blogger is Stella Offner. Stella is an Assistant Professor of Astronomy at UMass Amherst where she works on simulations of star formation. Stella's book review of "Headstrong: 52 Women Who Changed Science - and the World" by Rachel Swaby is a part of our series about how instructors tackle social justice issues in their physics and astronomy classrooms. The first few issues are here and here and here. Stories help bring science to life in the classroom. Unfortunately, most scientific protagonists included in textbooks are heroes rather than heroines. Contributions from women (and minorities) are often overlooked. After teaching introductory astronomy for several semesters, I decided to diversify my lectures by highlighting the contributions of more female scientists. However, I was brought short by a discomfiting realization: despite being an enthusiastic graduate of a women’s college and organizer of various programs for girls in STEM, I knew few stories about pioneering women of science. Where should I go to find these stories? And whom should I include? - Annie Jump Cannon classified 400,000 stellar spectra by the light of candles - in the process almost setting fire to her attic observatory. 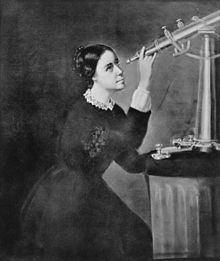 - At 29 Maria Mitchell was among the first Americans to discover a comet. - Grace Hopper discovered a moth in an early computing machine: the term “bug” for a code glitch was born. I recommend this book if you are looking for inspiration in the history of science. If you are a science educator, I doubly recommend “Headstrong” for its amazing stories of 52 pioneers in STEM, scientists who are also amazing women. 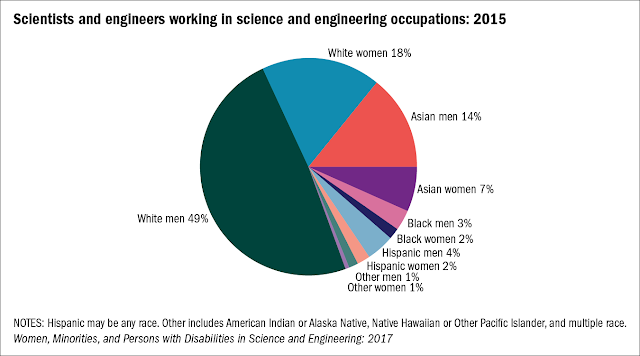 The National Center for Science and Engineering Statistics recently released the 2017 Women, Minorities, and Persons with Disabilities in Science and Engineering report, the federal government's most comprehensive look at the participation of these three demographic groups in science and engineering education and employment. The report shows the degree to which women, people with disabilities and minorities from three racial and ethnic groups -- black, Hispanic and American Indian or Alaska Native -- are underrepresented in science and engineering (S&E). Women have reached parity with men in educational attainment but not in S&E employment. Underrepresented minorities account for disproportionately smaller percentages in both S&E education and employment. 3. The National Society of Black Physicists honors Dr. Jami Valentine. The AAS Committee on the Status of Women in Astronomy and the AAS Employment Committee have compiled dozens of interviews highlighting the diversity of career trajectories available to astronomers, planetary scientists, etc. The interviews share advice and lessons learned from individuals on those paths. Below is our interview with Dr. Carly Howett, an an R&D Manager and Senior Research Scientist at the Southwest Research Institute in Boulder, Colorado. Her main research interest is in understanding the surfaces of icy worlds in our solar system. 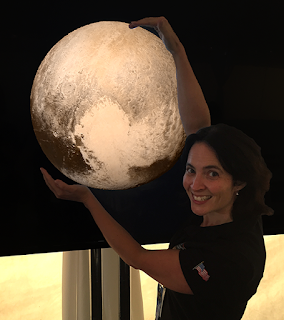 She also does a lot of mission work and is a Co-I on Cassini, Lucy, Europa-Clipper and a team member on New Horizons. For access to all our Career Profile Project interviews, please visit http://aas.org/jobs/career-profiles. New Career Profiles are posted approximately every month. 1. Happy Black History Month! Ok, after stating the obvious (one month? really? We should do better than one month.) let's spend today's post (re)committing to using this time to not just celebrate Black history but to interjecting it throughout our work. What does that mean to you? This is a particularly timely conversation since I'm assuming most of you in the US have gone to see "Hidden Figures" - a film focused on the missing African American women (Katherine Johnson, Dorothy Vaughn, and Mary Jackson) in particular who were a crucial part of getting the US space program into orbit. Of course, it is a fictionalized account (including the not-real white savior boss man) compacted to make for a (more) compelling 2 hour narrative. But the premise is spot on. Whose stories have we neglected to tell? What effect has that had on the work we do as astrophysicists? I'm not going to give you a comprehensive list here, but want you to at least get your feet wet. What are you doing that changes our relatively monochromatic field? Some of us spend time in a classroom where we can change the narrative by including voices and stories from past & present to make more room for contributions from Black scientists to our field. Some of us sit on hiring committees. Some of us mentor graduate students. Let's make sure that we shine light on the work being done wherever we can do it. For many of us, seeing "Hidden Figures" both brought joy at seeing the celebration of those doing incredible work - but also sadness and frustration for the limited progress made in the meantime. What about now? This is just a short (and by no means complete) list of places to start exploring the rich history of Black space scientists. Benjamin Banneker - Born in 1731, he was a self-trained mathematician & astronomer who worked as a surveyor, clockmaker, and creator of almanacs. Robert Henry Lawrence, Jr. - The first black astronaut, he joined the corps in 1967. He died in a training plane crash before getting to space. Dr. Willie Hobbs Moore - The first Black woman to get a PhD in Physics (University of Michigan, 1972). Dr. Mae Jemison - The first African American woman in space, Dr. Jemison has received degrees in Chemical Engineering, medicine (She *is* that kind of doctor), and served in the Peace Corps. She has also leveraged her platform as an astronaut to draw attention to racism & civil rights. Dr. Beth Brown - An x-ray astronomer (studying elliptical galaxies), Dr. Brown also worked in her role at Goddard Space Flight Center to bring astrophysics to students across the country. Professor Mercedes Richards - A professor at Penn State, she studied stars including stellar evolution and binary systems until she passed away last year. Stephanie Wilson - An astronaut who has flown into space three times, her graduate work in engineering focused on flexible structures in space. Dr. Neil deGrasse Tyson - One of the current faces of astrophysics, teaching us about the Cosmos while running the Hayden Planetarium at the American Museum of Natural History in New York City. Get on over to Vanguard STEM. Founded by Dr. Jedidah Isler (who studies blazar jets at Vanderbilt University, where she is an NSF fellow), this monthly web series highlights women of color in STEM, and provides a community for them as well. Dr. Chanda Prescod-Weinstein studies axionic matter and ways it can address holes in our understanding of the formation and evolution of the universe. She is also a passionate advocate for minoritized voices, especially Black women in STEM. The National Society for Black Physicists (well worth a visit and your support) is highlighting a different Black physicists every day of this month. Go check it out! And lastly... go get familiar with this collection of African American Women In Physics. Still a small group of women, but growing every day. Become familiar (if you aren't already) with the work they are doing in our field - and commit yourself to making this list grow exponentially by supporting our Black colleagues. This article provides a quick roundup of discoveries frequently attributed only to western cultures, including astronomical work such as time keeping, navigation, and trans oceanic travel - even observations of our galaxy - that was discovered, developed, and deployed on the African continent. This book review from 2014 highlights some of the deeper issues around colonialism and the way knowledge is created, valued, eliminated, or controlled depending on its source. These issues are at the heart of our failures to create a robust scientific culture supporting our minoritized colleagues including Black astronomers.